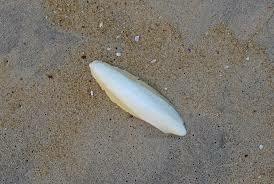 The Cuttlefish - The King Of Camouflage. The literal translation of the term Cephalopod is “head-foot” in Greek. It refers to the way the cephalopod’s head connects to its many arms. There are approximately 100 species of cuttlefish in the world and they are easily recognizable via their physical characteristics which are similar to that of an octopus. They have eight arms and two longer tentacles located at the front of the body that is used to capture prey. Cuttlefish also have excellent camouflage skills, they are often referred to as the Chameleon of the sea. Like an octopus, they mimic the shape and texture of objects that surround them in order to avoid their predators or any threats. They have the ability to lock hundreds of small structures under their skin in an upright position. By doing this it allows them to mimic a particular texture and carry on their day undetected. Like you can see in the photo below the common Cuttlefish in Gran Canaria is brown, mottled or striped, and are paler underneath. 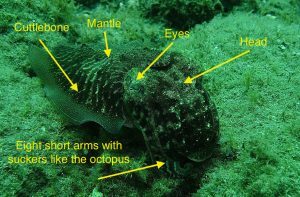 Males can disguise themselves as females to get past competing males and mate with the female cuttlefish. The Cuttlefish's eye is much bigger in the proportion that then rest of its body. This means that they have excellent vision and can even see what is behind them. Don’t let their size deceive you, cuttlefish are small but mighty. They use their extendable tentacles to catch prey as it moves. When a cuttlefish first spots its prey, it will turn to face them. It will raise it’s two middle arms. They will remain undetected by camouflaging themselves against their environment. Once they are close to their prey they will extend their tentacles to snare their prey. Cuttlefish have a surprisingly hard sharp beak which allows them to break down and eat hard-shelled animals like crabs. The bite releases a toxin which paralyzes their prey. The neurotoxin in their beak is so lethal that it can even kill the blue-ringed octopus. The ink is used as a coloring agent for Italian pasta. And was used as drawing ink and watercolor paint. Cuttlefish are exclusively marine species and can be found in most marine habitats from shallow water to depths as deep as 600 meters. They spend the winter time in deep water and prefer the shallow coastal water in springtime. They prefer the shallow coastal waters to breed in and spend the majority of their time in the sandy area on the seafloor near rocky reefs. 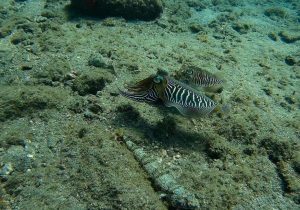 When diving in Gran Canaria it is common to see Cuttlefish in the dive site Amadores, El Cabron, Tufia and Risco Verde. The sandy bottom composition makes these dive sites the perfect habitat. 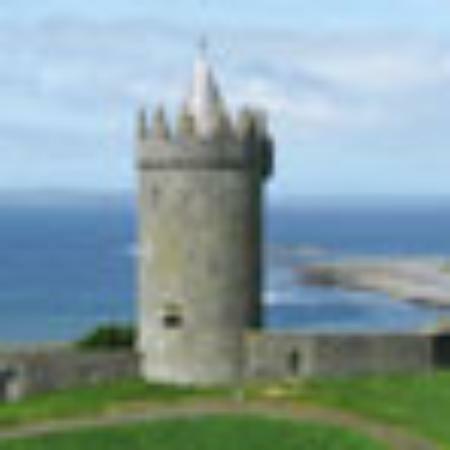 They also inhabit the North Sea and the Mediterranean Sea. If you would like to book a dive in Gran Canaria to try and spot these kings of camouflage then book a dive today! ⟵Can I see sharks in Gran Canaria?